With decades of experience and multiple MSHA Certified Instructors located throughout the state, we can provide timely and cost effective MSHA approved training. Our programs are tailored to your needs, your workforce, and at your location. Questions about on-line MSHA training? Contact us! Many online programs do not meet MSHA requirements. Don’t risk a serious lawsuit or MSHA penalty by not having the correct training. 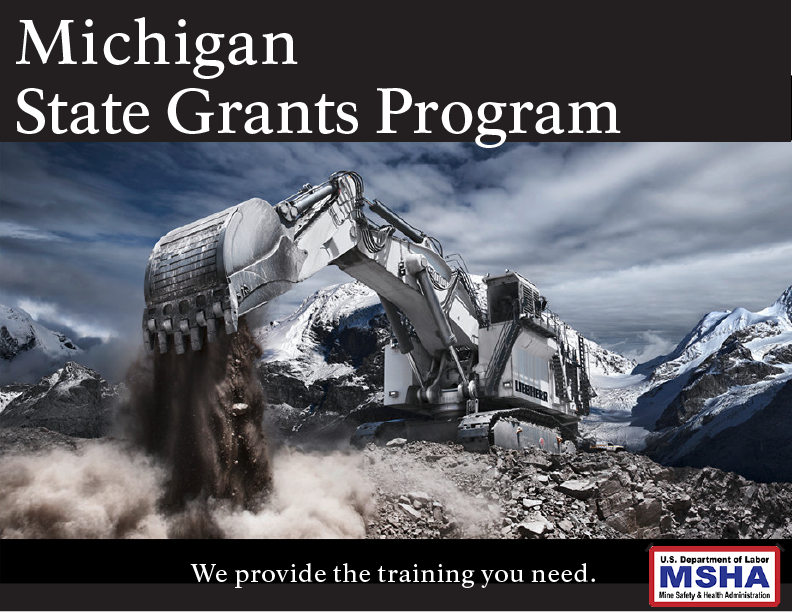 We are the Michigan MSHA State Grants Program, meaning we work hand-in-hand with MSHA. We are a well recognized and respected name with MSHA. Our trainers cater to your needs at your location, often for less cost than other MSHA training contractors. MSHA Classes in Michigan, MSHA Compliance Training, 5000.23 Forms, Training Plans, Northern Michigan, Michigan Technological University, Mine Safety Training, New Miner Training, Part 46, Part 48, and MSHA Training. Our Location is Michigan’s Upper Peninsula. Underground Mine Safety, Surface Mine Safety. Mine Safety and Health Administration. Part 48b, Newly employed miner training, MSHA Training Fees, Class fees. Marquette Northern Michigan MSHA Training. MSHA cost, Class cost. Houghton MSHA, Detroit MSHA, Grand Rapids MSHA.